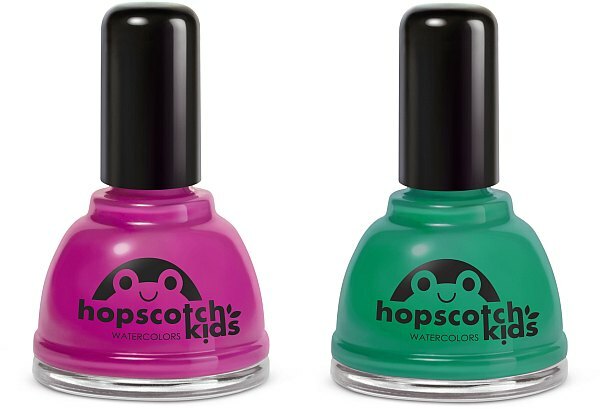 Hopscotch Kids make this range of water-based nail polish which has none of the smelly and toxic nasties found in regular varnish. So it’s free from formaldehyde, phthalates, toluene or other petrochemical solvents. What’s more, it’s deemed to be totally bio-degradable. There is even a special polish remover that’s chemical free. In a choice of ten vibrant colours, with names like Three Sailors Went to Sea, Sea, Sea and Ice Cream, Soda Pop, even I’d agree these are great for older girls as a party treat. Available from Hopscotch Kids with prices starting at US$12.99 for single bottles, up to $US97.99 for a huge birthday pack. Or locally the lovely online boutique Style Aficiando carries most of the range. 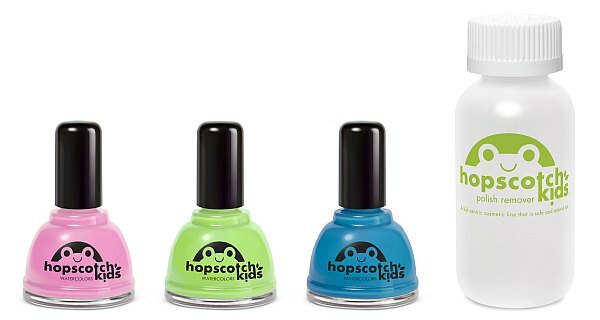 To celebrate the arrival of Hopscotch they are offering some special prices for the rest of August – you can grab individual bottles for just $15.99 (usual price $19.99) and special party packs for $62.95 (usual price $78.95) plus post.